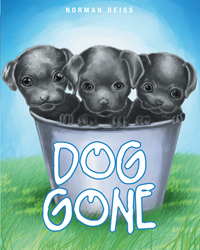 Recent release “Dog Gone” from Page Publishing author Norman Reiss is an uplifting story of families and the pets that saved them. Norman Reiss, a dedicated and passionate author, has completed his new book “Dog Gone”: a warm and light-hearted book that leaves the reader questioning: in cases of animal adoption, who is the one really rescued? Norman Reiss grew up in what he likes to call, ‘The Good ol’ Days’. Along with his country upbringing came a deep appreciation for the land around him and knack for farming. Not only did Norman grow up on a farm, but he also continued the family tradition throughout his whole life. After enlisting in the Perryville National Guard for eight years, he farmed the land with his sons. Eventually, he started a beef cow herd and raised feeder cattle. Today, his farm produces beef free of implants or growth promotants for a European market. Norman has received many awards and accolades for his no-till farming abilities which he has been perfecting since 1975. Published by New York City-based Page Publishing, Norman Reiss’s touching tale is one of animal adoption and the significance it can play in a family’s life. “I am sure you have heard the saying, ‘Adopt a pet and the pet will adopt you.’ Everyday unwanted animals are neglected, taken to shelters or even dropped by the side of the road left to fend for themselves. Dog Gone is a charming story about such an incident. However, luckily for the dogs in this story, they would be rescued and adopted by humans of their own. In this book you will find a collection of funny and sometimes sad memories about a man and a very special dog he rescued from the side of the road. Or, was it the other way around?” questions author Norman Reiss. Readers who wish to experience this inspiring work can purchase “Dog Gone” at bookstores everywhere, or online at the Apple iTunes store, Amazon, Google Play or Barnes and Noble.